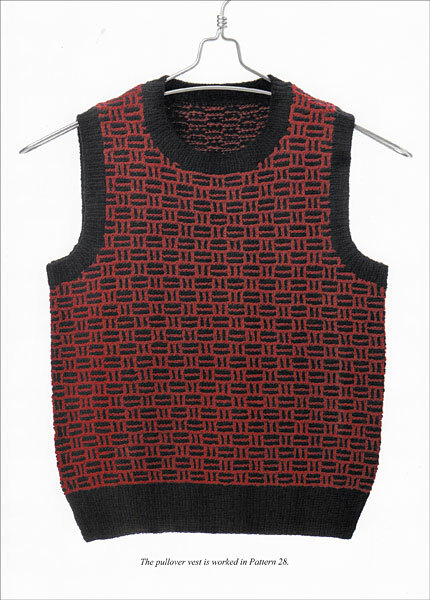 Here’s a pattern treasure chest that you can dive into and come up with lots of choice for creating your own totally unique garments! 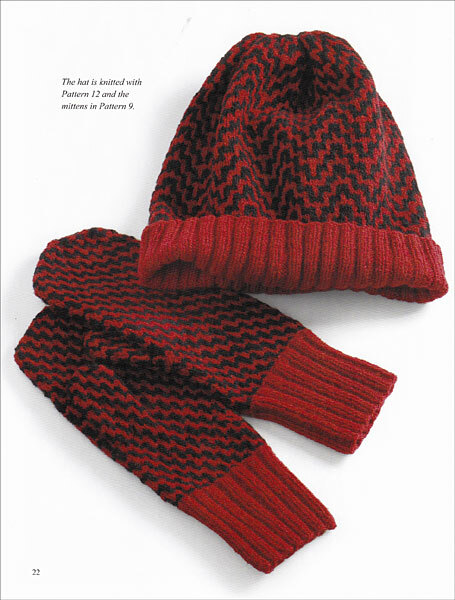 Hats, mittens, vests, and sweaters … everything becomes extra special with patterning. 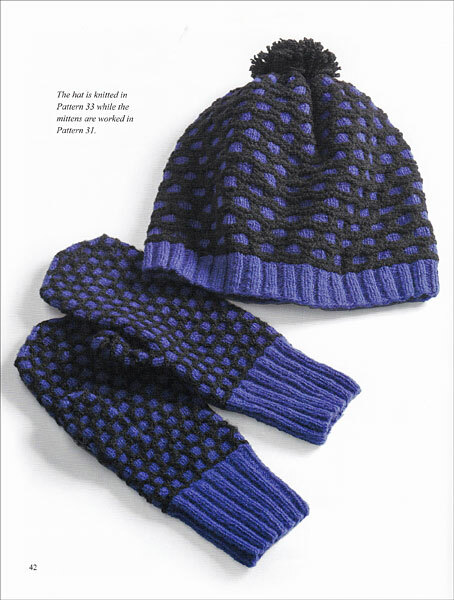 In this longed-for book, you will learn how to use three different pattern techniques: relief stitch patterns, slip-stitch patterns, and two-color stranded knitting. 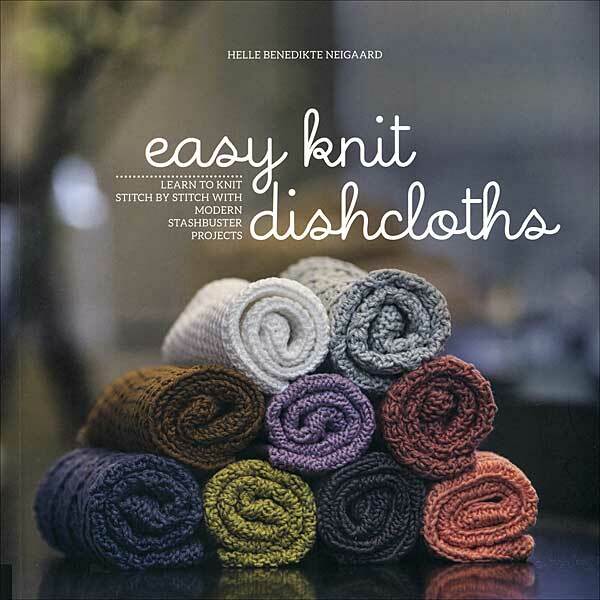 With 30 garments to inspire you, the book also offers more than 80 knitted pattern swatches paired with easy-to-follow charts. 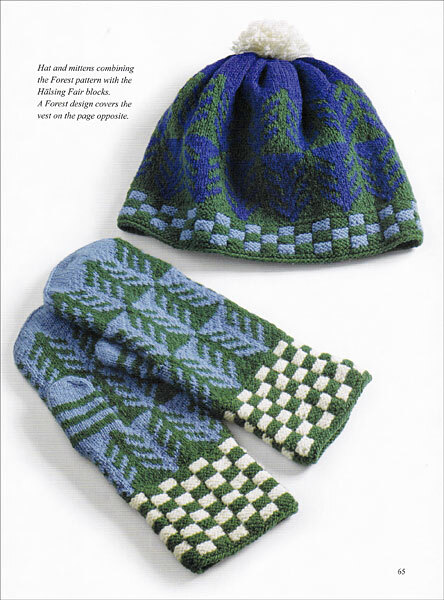 In addition, you’ll also find knitting instructions for some basic models. 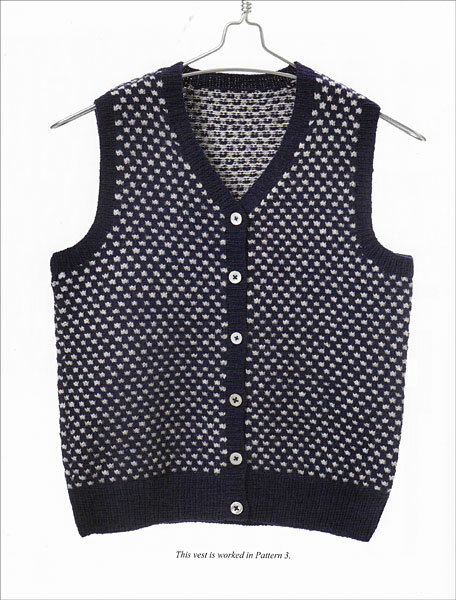 You can knit pullover and buttoned vests, cardigans, caps, mittens … everything with the pattern designs you like best! 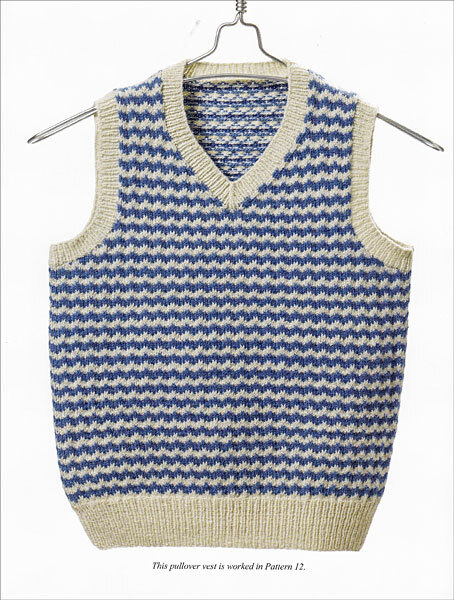 Ann-Mari Nilsson is a well-recognized designer who, through the years, has designed many pattern-knitted garments. 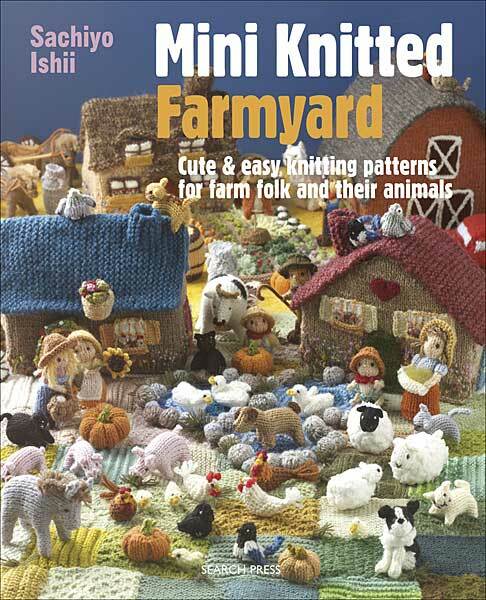 In Japan she is a knitting rock star and not just in books, but even on television programs and at exhibitions. 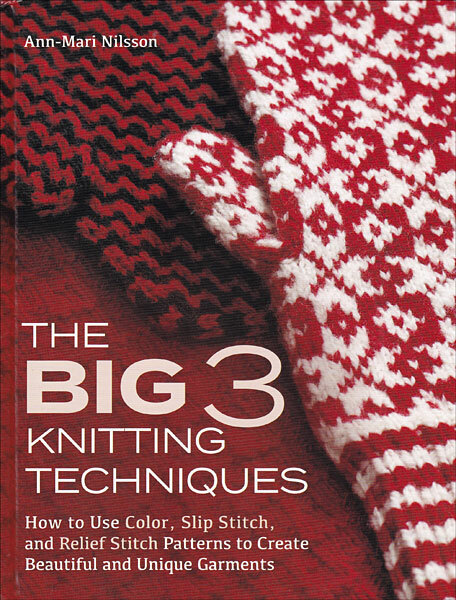 The Big 3 Knitting Techniques is Ann-Mari Nilsson’s fourth book published by the Swedish Handcraft Association. Her distinctive style makes everyone happy.